Seb Ross (2018 Ave: 107.3) followed up his solid 2017 season with another good year averaging over 100.0pts, he scored 100pts or more in 57.1% of games & 120pts or more in 42.9% of games in 2018. The run home by Ross was very impressive, he averaged 126.3pts from his final 6 games. St Kilda will add midfield depth in the upcoming trade period, this will likely impact the fantasy game for Saints Mids. 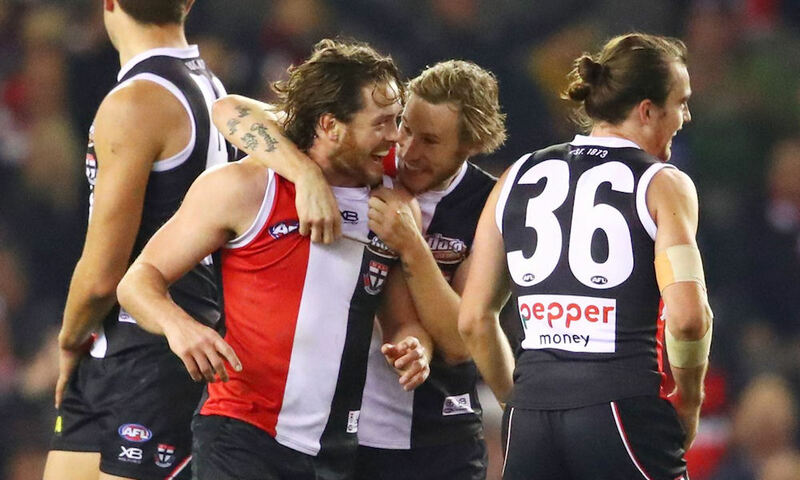 Ross will likely be low owned at Round 1 next season, tuning in to see the mix of the St Kilda midfield should be a high priority in the JLT Series for fantasy coaches. Jack Steven (2018 Ave: 96.6) again showed glimpses of his ceiling potential in 2018, unfortunately he received plenty of attention which did limit his overall average. Steven scored 100pts or more in 33.3% of games & 120pts or more in 19.0% in 2018, he averaged 105.2pts against teams that didn’t play Finals which is noteworthy given the easier draw St Kilda will receive in 2019. Steven is a must watch during the pre-season to see how he blends in with his new midfield teammates, his upside could be decent combined with a low ownership at Round 1. The collective sigh at the mere mention of Jack Billings (2018 Ave: 85.2) sends dark memories of his 123pts in Round 1 followed up by an average of 69.8pts from his next 10 games, many coaches were forced to finally rid themselves of Billings in Round 12 after he was dropped. To rub salt into the wound Billings averaged 96.0pts from his final 9 games of the season, another painful memory. Given that the Saints will add midfield talent Billings could again see his time in the middle of the ground limited, the common consensus was that Billings was misused in the early part of the 2018 season and his true average was more reflected in the 2nd half of 2018 when Alan Richardson used his talents more wisely. There is value in Billings but the pain he could inflict may not be worthwhile, avoiding him at the start of the 2018 provided a major advantage to fantasy coaches.